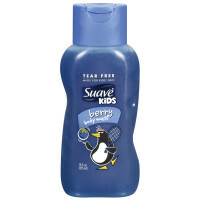 Suave Kids Berry Body Wash offers a fun, fresh fruity scent. 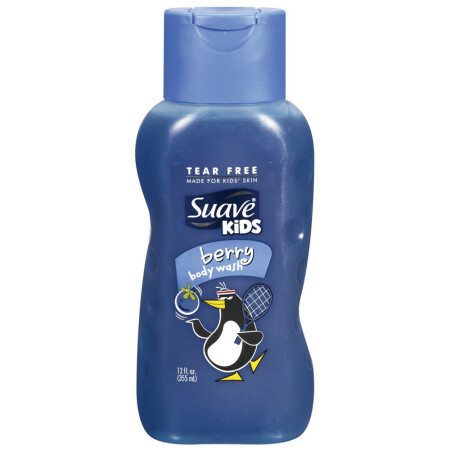 All Suave Kids Body Washes are made specifically for kids' skin. 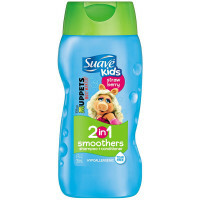 They are hypoallergenic and have an ophthalmologist tested formula that makes bath time tear-free. The gentle formula cleanses effectively without drying out your child's delicate skin like a bar soap can. 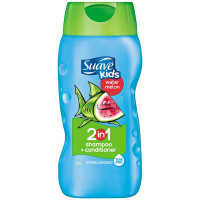 To Use: Shower of bathe (70+ uses). Squeeze a small amount ( the size of a quarter) onto a wet bath pouf or washcloth. Work into a rich, creamy lather. Rinse off. 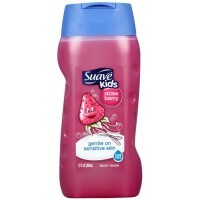 Ingredients: Water (Aqua), Sodium Laureth Sulfate, Cocamidopropyl Betaine, Cocamidopropyl Hydroxysultaine, Propylene Glycol, Glycerin, Sodium Chloride, Fragrance (Parfum), PEG-150 Distearate, Polyquaternium-10, Tetrasodium EDTA, Citric Acid, Etidronic Acid, Methylchloroisothiazolinone, Methylisothiazolinone, Blue 1 (CI 42090), Red 33 (CI 17200).